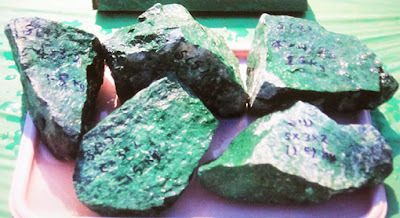 Jade Geology in Myanmar (Burma). 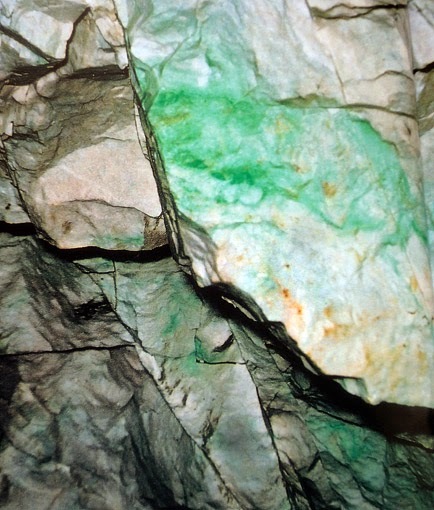 Some geological processes have been unique when the earth was formed and jadeite jade was created by nature. Jade is a mineral that is restricted to rocks and boulders that have undergone metamorphism at very high pressure but low temperatures. 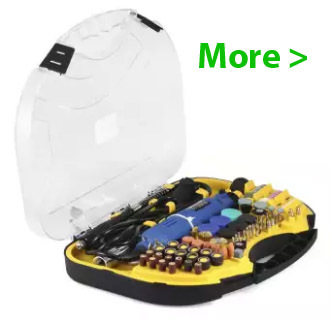 Now what is this? It is a change of minerals or geologic texture in existing rocks without a melting into liquid magma first. 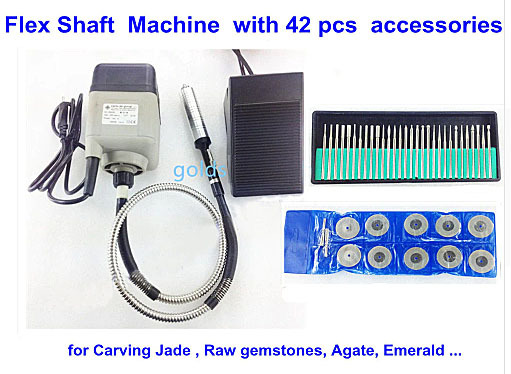 The change is because of heat pressure and fluids which make the inside components and crystal jade structures change but the rock itself remains solid jadeite is found in serpentine only. Jade geology tells that jadeite primarily is found in rocks that having a higher pressure origin than nephrite. Nephrite which was also formed like this had a bit of a different formation and is much more widespread than jadeite because of this. It is mostly found inside serpentinite. The variants are boulders rocks and cobbles in river deposits underground or in mountains. 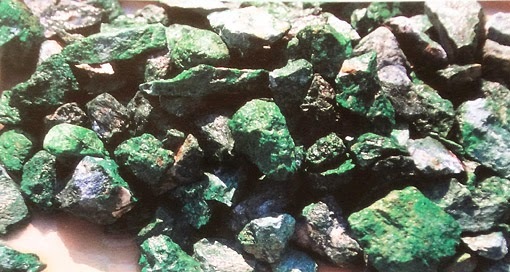 The main mining source of jadeite is in Kachin State Myanmar and in Sagaing division. Since most other sources got depleted by the 16th Century the only source remained here in the north of the country and in Guatemala. There are certain variants e.g. 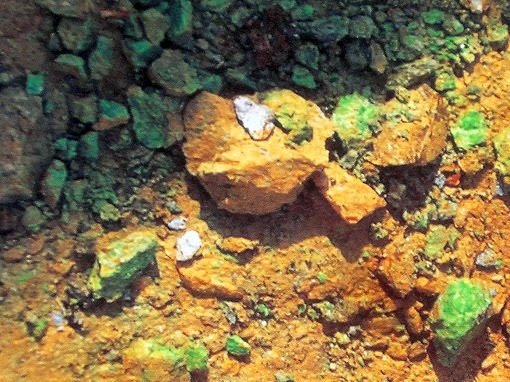 with traces of chromium and magnesium it became imperial green which has a more saturated color. Other jade colors are lavender white red purple yellow brown and more. With traces of manganese it becomes lavender and purple without impurities its white. A blend with iron brings dark and bright red. If chromium was present at the time the stone was formed under a relatively low temperature of around 300 Celsius. Jade feels heavier than usual stones. 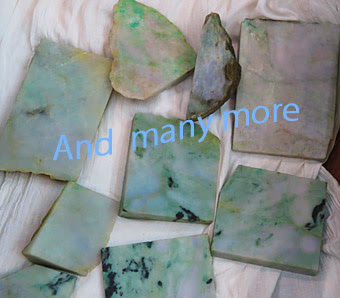 In your hand genuine jade must also feel smooth cool and somehow a bit like a soap, after holding it the hand it should warm up from the body temperature if this happens there is a good chance it is pure jade. 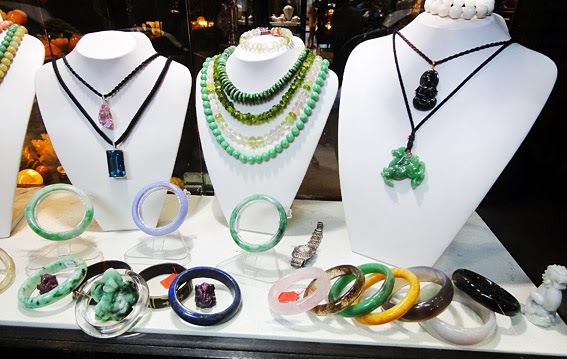 Burmese jade (jadeite) is becoming more popular because ove f texture and colors are more attractive than nephrite and because of that prices are rising continuously one spike into the sky was when a necklace was auctioned at November 1997 at Christie's in Hong Kong for more than 70 million Hong Kong dollars.